This week had one really good knitting evening, and then a couple hours scattered here and there throughout the rest of the week. If I had spent that one evening working on the-not-easter-eggy-shawl I’d probably be done with this section of it and on a different striping sequence. But I didn’t. Some garter stitch, some i-cord edging, some tosh merino light, combine to make a very delightful and smooshy shawl. The-Not-Easter-Eggy-Shawl did get some attention. But again, only a little bit here and there for a total 7 rows or so. 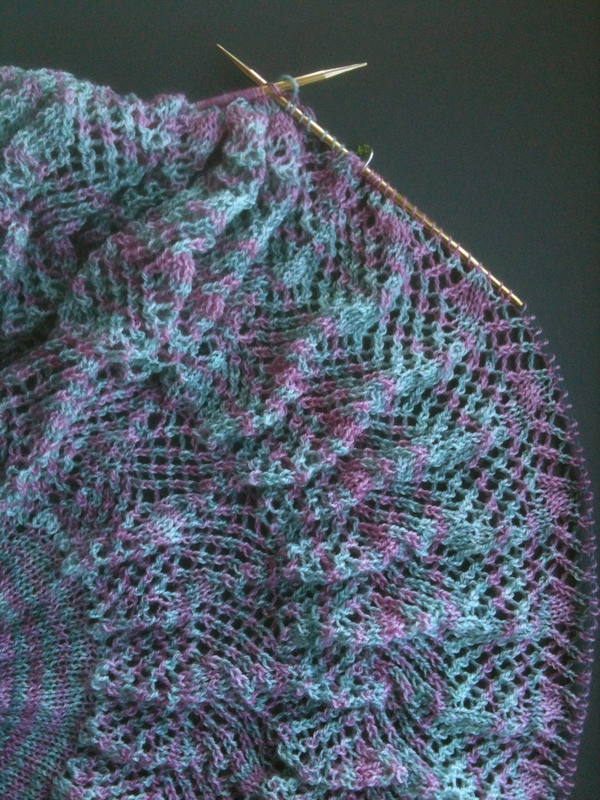 If you didn’t see it last week: Shawl Geometry II is here! It’s got 19 uncommon and unique shawl shapes to design and play with, and you can get all the information here. Exactly! 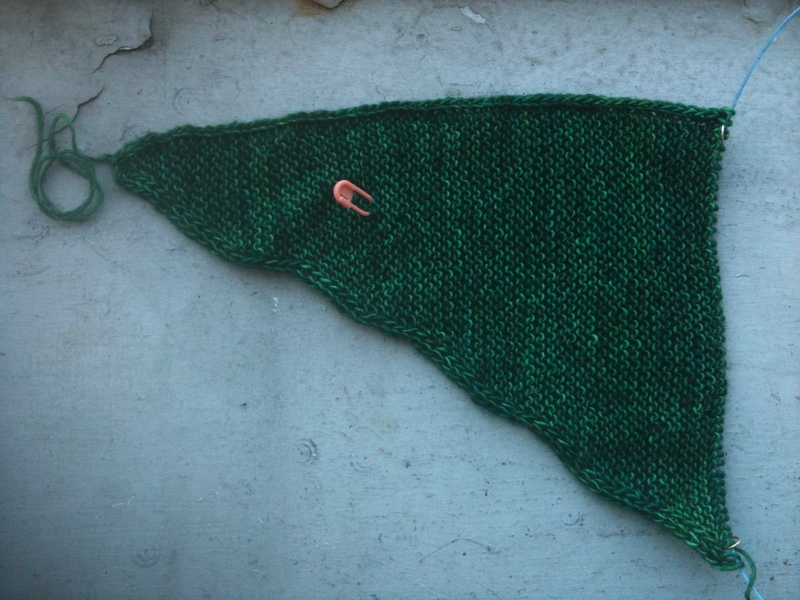 Shoulds in knitting are kind of silly.